New vehicle pricing includes all offers and incentives. Tax, Title and Tags not included in vehicle prices shown and must be paid by the purchaser. While great effort is made to ensure the accuracy of the information on this site, errors do occur so please verify information with a customer service rep. This is easily done by calling us at (317) 293-8060 or by visiting us at the dealership. #1 Mitsubishi dealers Indianapolis, Indiana – Used Cars & More! Looking for the best Mitsubishi Indianapolis, IN has to offer? 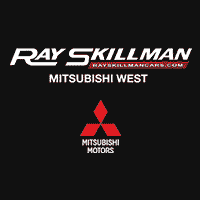 Ray Skillman West Side Auto Mall provides you with reliable vehicles from the top manufacturers in the industry such as Mitsubishi. With years of experience in the automobile industry, our name is synonymous with great service. Ray Skillman is dedicated to providing complete customer satisfaction for every client. Our staff and crew are skilled and highly trained to assist you in purchasing your dream car. Visit us today for amazing deals on some of the best new and used cars available in the area. Are you tired of jumping from one car dealership to the next? Ray Skillman offers you all the new vehicles you could ever want here at our dealership! We are your top choice among any Mitsubishi dealer Indianapolis has to offer, providing a wide range of new vehicles of all makes and models, including the latest sedans, coupes, SUVs, and trucks. Looking for a pre-owned Mitsubishi Indianapolis, IN provider? Or maybe you fancy a one-year old Lexus? At Ray Skillman, we carry pre-owned vehicles from various manufacturers from the US and around the globe. As one of the largest Indianapolis auto dealers, we offer competitive prices and reliable vehicles in our inventory. Most of our pre-owned cars also include a vehicle history report from AutoCheck to ensure your safety while on the road. Searchable Vehicles – Save time car shopping with our car search tool. Through our car search tool, you browse our comprehensive vehicle directory just by filling in the boxes for the specifications you are looking for. Price Ranges – Because we’re one of the biggest Mitsubishi dealers in Indiana, we offer the used cars Indianapolis, Indiana residents can afford. We have a wide array of vehicles that will fit whatever price range you have. Service Schedule – To save you more time, schedule your car for repairs or routine maintenance online. We provide the kind of new and used cars Indianapolis, IN residents can count on for quality at an affordable price. Call (317) 293-8060 for an appointment today! Ray Skillman Westside Mitsubishi	39.8316816, -86.2482597.